Home / Bigg Boss 12 / Latest / Surbhi Rana / Bigg Boss 12: Surbhi Rana to get eliminate from the house? Bigg Boss 12: Surbhi Rana to get eliminate from the house? Bigg Boss 12 is just a few days away from its finale and the competition for the trophy is at its peak. The final fight is among Sreesanth, Romil Chaudhary, Karanvir Bohra, Dipika Kakar, Deepak Thakur and Surbhi Rana. Now, if sources to be believed, a shocking eviction will take place tonight. And, the name of evicted contestant is already out! According to online buzz & various ‘Khabri’ handles, Surbhi Rana gets evicted in mid-week eviction. Surbhi had won the ticket to finale earlier and was saved from last week’s evictions. However, this week, everyone was nominated and as per the voting trends, Surbhi got the least votes. 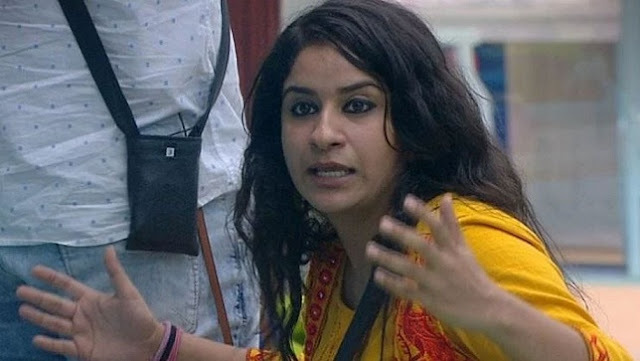 The final five who will now battle it out for the win are celebrity contestants Dipika Kakar Ibrahim, Sreesanth, Karanvir Bohra, and commoners Deepak Thakur and Romil Chaudhary. For those unaware, Surbhi Rana entered the house as a wild card contestant with Romil Chaudhary. She was a part of MTV Roadies Xtreme in 2018. She impressed everyone with her carefree attitude and won a million of hearts. Well, if this news turn out to be true than, it will surely be a sad news for all Surbhi’s fans.